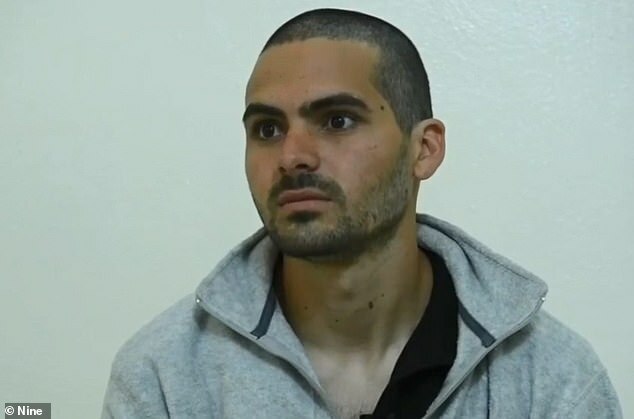 An “Australian” ISIS fighter who wants to come home has claimed he didn’t know he was joining a bloodthirsty terror group when he fled four years ago. Mohammed Noor Masri, 26, fled Sydney for ISIS in 2015 and is now living in a refugee camp in Syria with his wife and three sons. He claims he did not understand the group’s brutality even though stories and images of its public executions and torture were broadcast around the world. And didn’t anyone in Australia tell him that the Islamic State has nothing whatsoever to do with Islam? Everyone knows that, right? Does this POS look Australian to you? In a desperate bid to be allowed back into Australia, Masri told the Sydney Morning Herald he was misled into joining an organisation he now considers to be ‘evil’. Masri claimed he travelled to Syria not as a terrorist but as an inquisitive albeit misguided person seeking to learn more about Islam. He claimed he didn’t fight but rather worked as an air-conditioning service tradesman in a hospital. Masri also told how he saw ISIS fighters starve children to death to save food for fighters. ‘There was kids that were dying from malnourishment. I seen kids die actually, seen it with my eyes,’ he said. He said he made a mistake in joining ISIS and regrets it. That should be enough for any leftist bleeding heart to welcome him ‘home’. the problem is that the moronic liberals will believe, or claimn to believe, every pices of spoken and written rubbish that this islamic terrorists regurgitates. Maybe thats what they eat for Brekky. Fifteen armed police are now going to ordinary kiwis homes..shutting downs streets for ops against so called white supremacists. An 18 yr old got ten years jail almost immediately .. a sixteen yr old has now been denied bail. Yet last year a young Maori convert to the ROP who terrified people in CHCH and threatened vehicular jihad etc..got cooking lessons, golf lessons and mentoring at the mosque..We the public , were not allowed to know his name was or what he had had done..Two others in the North island had been allowed to roam free also. The head of Maori Isis , based in Hastings N I. declared Aotearoa an islamic state yesterday. The morning after the mosques attacks , Hawkes Bay hospital recd a bomb threat. Many in NZ do not believe the official story. We are now living in a police state where most people are afraid to speak out , where we hv an insane former refugee Member of parliament screeching from the roof tops plus all are being encouraged to play..Dob in yr neighbour..